Anime streaming service Crunchyroll are taking their first foray into making original works, with a transgender artist at the helm of their first project. Transgender man Raye Rodriguez is billed as the creator of High Guardian Spice, and will have all the hallmarks of a great anime series – high drama, colourful characters and magic! 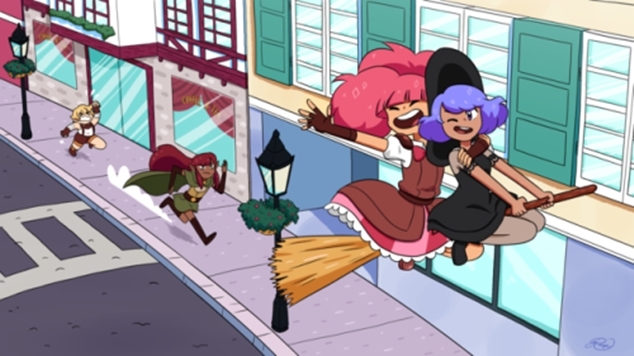 “In High Guardian Spice, the lives of four fierce girls, Rosemary, Sae, Thyme and Parsley, converge at High Guardian Academy, the one place where they can stumble towards adulthood while becoming the heroes they’ve always admired,” the show’s synopsis reads. Rodriguez will lead the show’s writing team into the show’s 2019 debut. Crunchyroll have also announced that the writer’s room, besides Rodriguez, is an all-female team. Check out a little behind the scenes teaser of High Guardian Spice below.